Fallout 4‘s appearance at E3 (or rather the evidence of its appearance leading up to E3) was probably the most pleasant surprise of 2015. It was a late announcement, only months before the release of the game. Last year nobody was even anticipating Fallout 4, since nobody knew when it was going to release. Fallout 3 received critical acclaim, and every game from Bethesda Game Studios except for The Elder Scrolls III: Morrowind was consensus game of the year. In fact, every single one of their games including Morrowind are our pick for game of the year. Does Fallout 4 continue this streak of excellence? Read our review to find out. Fallout 4 is a multiplatform action role-playing game, although being made by Bethesda Game Studios you can expect lots of catering to the PC version. This is most evident with mod support. Mods have already been available for a long time on Nexusmods, and Steam Workshop support is promised for 2016. Note that as of December 7, 2015, mod support is partially broken and a workaround is needed to get modded files to work (Nexus Mod Manager is the easiest one, and be sure to not use Fallout 4’s launcher and use Fallout 4 Configuration Tool instead). The reason our review is later than usual is because Fallout 4 is an absolutely massive scale game, and we really seek to know the game inside and out before delivering a review. That, and because we don’t receive the game early to review. But hey, this way you can be sure you’re getting an unbiased review. Fallout 4 includes a launcher which you must go through to launch the game. In it you can configure graphics options (you can’t configure most of them in-game), mod files, and other settings. Note that there is no built-in method for changing FOV or disabling mouse acceleration. You must edit two INI files manually (follow this guide to do so) or use Fallout 4 Configuration Tool (which is a GUI application that edits the INIs for you). Configuration Tool is recommended since it’s easy to use and has other options like disabling the intrusive compass. What is incredible is that the game lets you choose any HUD color and any Pip-Boy color you want, by providing RGB sliders for each. A small feature that goes a really long way. You can also adjust HUD opacity as with their previous games. Fallout 4 is a third-person and first-person game, allowing the player to choose at a whim. It is the same type of game as Fallout 3. If you look at it as an improved version of Fallout 3, using some ideas from The Elder Scrolls V: Skyrim, then you have the right idea. It’s not much like the first two Fallout games, which are isometric turn-based RPGs with far more role-playing, and far more challenging and tactical gameplay that’s obviously more limited than the open world Fallout 4. Nor does it have the writing excellence of Fallout: New Vegas. Bethesda games are about gameplay freedom; allowing the player to role-play as whatever type of person they want, whether it’s an action hero, a greedy raider, a drug addicted gangster, anything that comes to mind. The game is about giving the player the choice of doing whatever he or she wants, whenever he or she wants to do it. They are so open ended that people are often overwhelmed and not sure what to do. But that is no excuse for poor writing, especially when Fallout, Fallout 2, and Fallout: New Vegas especially deliver far better writing and infinitely more role-playing while being equally sandbox in their design (with less predefined protagonist character development in fact). Bethesda did try their hardest to make Fallout 3 a good satire, and they did a good job with that. They put effort into the same thing with Fallout 4, and while for the most part it works, there is one glaring exception; protagonist dialogue. Almost all of the dialogue options available to the player lack the satirical wit that’s present in every other Fallout game (even Fallout 3). Very generic dialogue from the protagonist, even more generic than the rest of the game’s dialogue. As you can already see from the above pictures, Fallout 4, just like every other game made by Bethesda Game Studios, is also all about atmosphere. They provide the most detailed, dynamic, interactive, and authentic open world levels in video gaming, but this is just in regards to level design, not world building. This masterful level design was most evident with Fallout 3 and Skyrim, but somehow they managed to take Fallout 4 to a completely different level. It is a world apart from their previous games in level design, and this is largely due to the fact that their games have always been designed around console hardware limitations, and the fact that current consoles are far more powerful than last gen ones. Bethesda took advantage of this, as did Rockstar Games with Grand Theft Auto V. Just take in the atmosphere shown in these videos and others on my channel. The level design is full of variety. It has massive cityscapes, small towns, forested areas, overgrown swamp areas, and much more. Even textures are surprisingly diverse especially for a tile based game. It no longer feels like a video game; when playing Fallout 4, I feel as if I just stepped through a portal into a real world post-apocalyptic Massachusetts. The only disappointing aspect of the world are subway stations, which are all tiny compared to the ones in Fallout 3. Then again, we personally don’t know how Boston’s subway stations are. But it’s not just pretty scenery. It is the random encounters and the content that fills it which takes it, Skyrim, and Fallout 3 to higher levels than other beautiful open worlds. S.T.A.L.K.E.R. Lost Alpha is a great example; its maps were extremely detailed, nearly as detailed as Fallout 3 even, but were quite empty with regards to AI and quests. Fallout 4 is filled with side quests that are separate from the main quests, and like Fallout 3 it has hidden, unmarked side quests, which is a very rare thing. Also, dynamic, random encounters scale with the player’s level. The higher your level, the higher the level of the enemies you find, and more deadly mutants become more common. Keep in mind that Fallout 4 has far less total quests than Skyrim, which is expected since Fallout 4 is a post-apocalyptic game while Skyrim takes place in a thriving fantasy world with many factions. This video below shows a glimpse of how random and chaotic random encounters can be. But it is true that the simulation AI of Fallout 4 is still inferior to Skyrim, which has more active AI. Fallout 4 could do with far better simulation AI, that sees NPCs scavenge more and live out more believable lives. It comes nowhere close to the simulation AI of modded S.T.A.L.K.E.R. Shadow of Chernobyl and S.T.A.L.K.E.R. Call of Pripyat. Because of it lacking in this area, it does not feel revolutionary. The content in Fallout 4’s world isn’t particularly noteworthy. Too much of it is just bandit or ghoul encounters. It relies too much on its modding ability here. One thing that separates Fallout 4’s world from other Bethesda games is the vertical space. If simply measuring the diameter of the terrain, not counting height, then Fallout 4’s map is probably close to the same size as Skyrim’s (which is said to be 38 square kilometers). However, Fallout 4 features Boston; a metropolitan city with skyscrapers and other tall buildings. The amount of vertical exploration is more than we’ve seen in any open world game. Much more. So, the level design is very good, but it has issues with how it is populated, used, and even more in world building. The main trading hub, Bunker Hill, is placed around a famous monument of course (for the sale of metaphors and historic references), but it isn’t believable as it has no way to produce. The only fertile lands are in the north and south sections of the map, but the south is too dangerous. The trading hub should be in the north. As far as world building goes, like Fallout 3 it can be summed up as a playground. It takes place over 200 years after the nuclear war, yet it seems like it takes place 20 years after. There is still no sign of civilization rebuilding, besides the Institute (which has serious writing issues on its own) but they are still in very early planning stages. It doesn’t make sense. Whereas the real Fallout games (first two and New Vegas) actually have governments and hierarchies and multiple civilizations, all particularly well written too. Fallout 4 really is a joke in comparison. Fallout 4 actually shows better character development than Fallout 3 and Skyrim but still nothing noteworthy, and it sacrifices potential originality just to satisfy the vocal LGBT community, by making all companions bisexual (the ones that can be romanced at least). This is an annoying trend, more blatant than even Dragon Age: Inquisition. Fallout 4 begins just before the war that ended it all in 2077, when the world plummeted itself into chaos through nuclear fire. Why did this nuclear apocalypse happen? In a word, resources. Technology had advanced so much that the planet’s resources were becoming very scarce. Wars were fought over the last remaining resources, but ultimately that wasn’t enough. Total devastation came soon after. Just like the famous Fallout saying goes, war never changes. Like every other Fallout game, Fallout 4 is very much a satire that makes fun of American society. Both Fallout 4 and Fallout 3, despite not being story driven or having excellent writing, are still amusing satires with their share of funny moments. The humor is often dark, but it’s well written when it materializes. It isn’t as good a satire as Fallout 3 (due to the writing quality of protagonist dialogue lacking), much less Fallout: New Vegas or the first two Fallout games, but still effective. We highly recommend watching the unofficial Fallout Storyteller YouTube series. It is very professional, very detailed, and accurate. Whether or not you’re new to the Fallout franchise (we aren’t and we love it), check it out here. Fallout 4 Spoilers Begin Here! Fallout 4 begins just before the missiles come down, so you get to experience a little bit of the pre-war Fallout world, particularly in Massachusetts where the game takes place. You are allowed to choose the role of a man or a woman, both married and each with a loosely defined background, but not to the point where it severely limits role-playing or becomes actual character development. The man served in the U.S. Army, but it’s left ambiguous what his actual position or job was. All we know about his wife is that she has a law degree, so playing as her would actually encourage high Intelligence. So the female character is a bit more limited with regards to role-playing, although this limitation would be self-imposed at the end of the day, but it’s like they’re forcing our hand slightly. However, the fact that both protagonists are voiced (and with only one voice at that, unlike Dragon Age: Inquisition which has multiple voices and far more dialogue) means role-playing is a bit more limited than Fallout: New Vegas and the classic Fallout games, although the difference this makes compared to Fallout 3 isn’t as drastic but still noticeable. Player dialogue choices are arranged into almost a wheel now, since every RPG has to do it like this now for some reason. But the dialogue choices are very limited, even limited compared to Fallout 3 which is not a great dialogue driven RPG. The responses, almost all of them, basically boil down to “Yes”, “No”, “Sarcastic”, and questions to acquire more info. These questions almost never lead to more responses. The amount of dialogue choices is more limited than Fallout 3, and far more limited than Fallout, Fallout 2, and Fallout: New Vegas. In Fallout 4, the only things that affect dialogue are Charisma score, and the Lady Killer/Black Widow perks (note that Confirmed Bachelor and a female equivalent are gone for some reason). Not only this, but these things do not have their own unique dialogue choices. You see, Fallout 4 has several persuasion options by default, and Charisma score (as well as these two perks when applicable) affects your chance at succeeding. This is also how the previous Fallout games worked to some degree, however if your Charisma score (or rather Speech skill which was used more often, or something else like Intelligence or Perception depending on the dialogue) was too low you’d get different dialogue entirely. In Fallout 4, you get the same dialogue whether you pass or fail. This means that Fallout 4 has almost no unique dialogue at all. The only unique dialogues are quest related. Occasionally it has dialogue options for perks that the player has like Cannibal, Lady Killer/Black Widow/Confirmed Bachelor like I said before (although I left out the latter since it’s missing from Fallout 4), Terrifying Presence, and probably others. In addition, the dialogue here was completely different depending on whether or not the player is above or below the conversation requirement. If a conversation has an option that required a Perception score of 8 for example, and the player only has a Perception score of 6, the player’s dialogue would be different than if he/she had a Perception of 8 or above. This applies to Speech, Charisma, Intelligence, Perception, Barter, Science, Medicine, and other dialogue checks, while others wouldn’t show up at all unless you met the requirement (all perk dialogue choices are like this, and most Strength ones). Some of these dialogue choices even appeared in Fallout 3 (mainly Barter, Intelligence, and Perception choices), although not as often as in New Vegas. New Vegas is ten times the RPG, and Fallout 2 is even more than that. Fallout 4 does have unique, brief “greetings” for when you’re drunk, but that’s nothing but a cute little addition. A voiced protagonist wouldn’t work if the game had as much role playing as Fallout: New Vegas, much less Fallout 1 and 2, which had far too many dialogue options for a little four sided wheel to be sufficient. Considering the type of RPG that Fallout 4 is, it would have made more sense to omit the voiced protagonist, and not attempt to introduce character development for the protagonists at all. Why? Because every Fallout game, and even every game by Bethesda Game Studios, is all about the player character being a clean slate. Here the slate isn’t perfectly clean. It’s somewhat clean, but the voiced protagonist is a mistake. What if I want to play as a drug addicted raider psycho type character? Can’t really do that due to the voiced protagonist, since both voices (male and female) sound totally normal. It’s like Bethesda wasn’t sure whether or not they wanted to make a cinematic game or a Bethesda game. Their writing is not good enough to make cinematic a worthwhile effort, although it’s understandable that Bethesda felt compelled because modern gamers go nuts for basic cutscenes. This is definitely why the optional cinematic dialogue camera was included too. Those expecting a dialogue heavy RPG like Fallout, Fallout 2, or Fallout: New Vegas will be strongly disappointed in Fallout 4. To break it down, it’s interesting to talk to NPCs in Fallout 3, very interesting to talk to them in Fallout, Fallout 2, and Fallout: New Vegas. But it’s not really interesting at all to talk to NPCs in Fallout 4. It is not a good RPG by any stretch of the imagination, and Fallout is a franchise known primarily for its role-playing, so again it is a disappointing Fallout game as well. Returning to Fallout 4’s plot now, the protagonists have a baby named Shaun, and a Mr. Handy named Codsworth. Interestingly enough, Codsworth will actually say the player’s chosen name if the name is one of the hundreds that were recorded. Some of the recorded names are hilariously silly, but many common names were of course recorded. The name I chose was Martin, and another GND-Tech administrator, Enad, chose John. Codsworth says both. At the start of the game, you must first create your character. The character creator allows for almost unlimited potential in character creation which is truly excellent! After making your character, you may explore your house for a bit and take in the pre-war atmosphere. It’s just like us Fallout fans imagined; futuristic yet retro at the same time, with what looks like a bulky Sci-Fi retro CRT TV and a large vacuum tube music player that plays holotapes, just for some stand out examples. A representative of Vault-Tec shows up at your door and invites you and your family to a local vault, an underground shelter for protection in the event of nuclear annihilation. Those who have played Fallout before know that this is some sort of trap; every vault is truly a government experiment, often a terrible one. Each vault has its own unique task to carry out, with specific instructions. Those who haven’t played Fallout will get a shocking dose of reality. The bombs do fall, but you and your family make it into the vault in time. It isn’t long after your entry into the vault that its purpose starts to become clear. This vault, Vault 111, was designed to test the long term effects of cryogenic stasis on unsuspecting subjects. You, your family, and every other subject who made it into the vault are frozen in stasis pods. You awake from your stasis twice; the first time, two unknown individuals kidnap Shaun and kill your partner/spouse who refused to let Shaun go. You wake up a second time, finally able to exit your stasis pod and leave the vault. 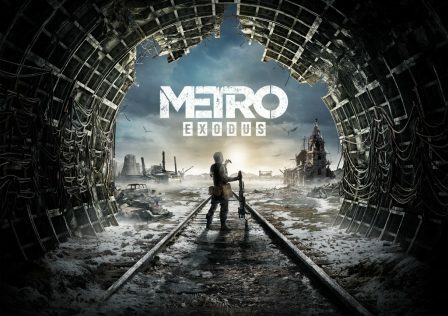 After exiting Vault 111, the player is left to explore post-apocalyptic Massachusetts and follow leads to try and find Shaun. A very simple plot to follow, just like other Bethesda games. Also somewhat the opposite of Fallout 3, in which you play as a young man or woman setting out to find your father. Fallout 4 retains Fallout’s focus on history. One of the first factions you can meet are called the Minutemen. The game features numerous references to historic events from the time when North America was ruled by England. Not to mention there is a large unmarked side quest that takes you all throughout the wasteland, following in the footsteps of pre-war gangsters, with the whole thing feeling and sounding like something out of a gangster flick. Combined with all of the monuments and historic locations, it becomes a very atmospheric, authentic experience, much like Fallout 3 but even better due to the better environmental design. The Minutemen point you to Diamond City, which is the most significant hub in Fallout 4. Admittedly it’s somewhat disappointing, being similar to a larger version of Fallout 3’s Megaton. Compared to Lexington and Cambridge which are massive cities it’s disappointing, but then again it makes sense to find small human settlements in a post-apocalyptic wasteland. Diamond City is built within a baseball stadium and in it is a character obsessed with baseball. The guards inside Diamond City wear armor that looks like baseball padding, and wield baseball bats. Just more fine, classy cultural touches that really add to the world of Fallout 4. Diamond City points you toward a private detective named Nick Valentine. A memorable name for a somewhat memorable character (as memorable as one can be in a Bethesda game). Valentine is located in Vault 114, an unfinished vault located in a subway station. When stepping into this vault, it’s like stepping into a Sci-Fi retro themed classic mob movie. The dialogue, the characters and their attire (and the fact they’re mostly armed with Tommy Guns), like many of the other things we mentioned all of this is designed to reference American history and culture. Bethesda did a fantastic job constructing this post-apocalyptic, Sci-Fi retro world and filling it with American influence. In an unexpected twist, Nick Valentine is a “Synth” or a synthetic human, and like all others created by The Institute, a highly secretive and infamous group located in the area. We got a glimpse at their work in Fallout 3, in which a Synth was captured and kept in Rivet City and representatives of The Institute were sent to retrieve it. But unlike other Synths, Valentine is accepted in Diamond City since he had been constantly helpful. You learn early on that Diamond City is paranoid about Synths. A newspaper article explains why; a few decades earlier, a charming man entered Diamond City and quickly fit in. One day at a bar, his face started twitching before he pulled out a gun, killed the bartender without showing any emotion, and then went on a killing spree. It took many guns to bring him down. As it turns out, he was a Synth. Ever since then, Diamond City has become paranoid about Synths. One scripted event involves one man pulling a gun on his brother, who he believes is a Synth replacement. The Institute is known for kidnapping people and replacing them with Synths that are now indistinguishable from actual people. So there’s a lot going in with Fallout 4’s story which is surprising. We have the conflict between Synths and humans which asks “What does it mean to be human?” Coincidentally SOMA, one of this year’s most brilliant games, asked that question. We also have a clandestine group operating mysteriously in the shadows (The Institute), we have the historical references in the Minutemen (who live up to their name) and Railroad (who helps runaway Synths escape The Institute, and who are also highly secretive), and we have the Brotherhood of Steel returning in full glory. No more renegade Saint Brotherhood of Steel like in Fallout 3; here in Fallout 4 they are as controversial as ever. And more intimidating than ever. We have a world and story that are grey opposed to black and white, which is a nice improvement over Fallout 3. We have multiple factions, some more interesting than others. But again, the factions are too scattered and weak considering that this is 200 years after the war. No sign of civilization rebuilding? Odd. Don’t get your hopes up for characters though. The characters in Fallout 4 are interesting enough, a bit more developed and distinct than Fallout 3 overall, but at the end of the day generic and character development is decent but not the focus. Nothing like Fallout: New Vegas here, which has some of the best character development of any game (especially Dead Money and Lonesome Road). The plot is also as generic as expected. 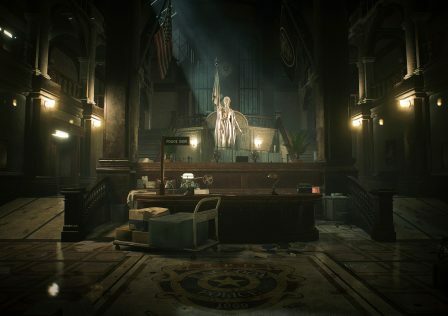 The player’s investigation with Nick Valentine puts you on the trail of a mercenary named Kellogg, who led the Institute scientists who killed the player character’s spouse and kidnapped Shaun. Some character development is attempted with Kellogg, and the writers attempted to make the first and last direct encounter with Kellogg memorable. They tried to give Kellogg memorable dialogue and make him a character, but at the end of the day he’s something straight out of a Call of Duty game. Not high quality writing, but not terrible either. Just typical video game fluff. Following Kellogg’s trail leads you to Goodneighbor, a town started by criminals banned from Diamond City in the 2240s. It’s filled with non-feral Ghouls and even run by one. You can get a feel for its culture in the video below. It’s another well created hub, but not mind blowing. You can also see the main quest there, which involves finding a doctor and trying to extract memories from Kellogg’s brain. Kellogg himself was a Synth, which you learn after killing him earlier in the investigation. So this main quest involves somehow joining the player character’s mind with Nick Valentine’s and going through Kellogg’s memories. Unoriginal, not properly explained, generic video game plot stuff right here. Through Kellogg’s memories you learn that The Institute uses teleportation to get around, hence the fact that nobody knows where they’re located, and that an Institute scientist escaped and hid in a place called the Glowing Sea which becomes your next destination. The plot actually isn’t the focus here, just like with other Bethesda games. The emphasis is on the locations you visit; first Diamond City, then Goodneighbor, then the Glowing Sea, etc. The plot and characters lack depth, but the locations are uniquely written and presented. It would be nice to have the best of both worlds, but that’s something that perhaps no game has succeeded at. Fallout: New Vegas tried, and while the writing was up for the task the level design was not quite there (close but no cigar). All the more reason for Bethesda Game Studios and Obsidian to cooperate on a Fallout game together, although it would take bold management at Bethesda Softworks to make such coordination successful. The Glowing Sea is one of the most dangerous places in the game. I personally ventured there at level 46, with the best Power Armor in the game (X-01 Mk VI with all kinds of upgrades including a jetpack), with an upgraded Super Sledge and Big Leagues rank 5 perk (leading to 168 base damage and 40 energy damage), and with a companion equipped with mixed Power Armor (mostly X-01 Mk VI with a T-51f helmet and T-45f leg) and a Minigun. It was still a struggle, not because of the radiation but the Radscorpions which are much more challenging and durable in this game. As expected, the Glowing Sea isn’t used just for this quest. There are all kinds of places to be found within, although exploring it requires plenty of Rad X, RadAway, and either Power Armor (preferably lead lined/painted throughout) or a Hazmat suit. The escaped Institute scientist is indeed found within the Glowng Sea, and he might not be as expected. Due to the radiation, humans can’t live long within. So many will figure he’s a Synth himself, or perhaps a Ghoul. Both are wrong. Here, the player is provided with information on how to teleport into the Institute, which is under “C.I.T.” (M.I.T. in reality). All of us knew that the Institute was either in or around M.I.T. so there is no surprise here. So the player must scour the wasteland for help in building a teleporter. The player may look to any of the main factions for help (other than the Institute itself of course), including the Brotherhood of Steel, the Railroad, and the Minutemen. In the videos below, you can see me working with the Minutemen to get into the Institute. The Institute itself is breathtaking, from a level design and atmospheric perspective. Some of the longest conversations in the game happen here, with “Father” who is the director of the Institute. As the videos above show, he is Shaun, the protagonist’s son all grown up. The player was in cryogenic suspension for longer than anticipated. The dialogue isn’t terrible but there are so many missed opportunities; for example, you can’t even ask about the stories of the Institute kidnapping people from the wasteland and replacing them with Synths. You can find logs of similar controversial experiments carried about, and can’t ask about them. Not only can you not ask about the Synth kidnapping and replacements, the reasons for this are never revealed. Such a gaping plot hole. As one could have easily predicted, Shaun expected the player and Kellogg to cross paths. He claims it was his way of granting both himself and the player some revenge. But what about the fact that Kellogg is one of the most dangerous mercenaries in the wasteland? That could have easily resulted in the protagonist’s death (thus his father’s death). Shaun was banking on his father having plot armor? And you can’t call Shaun out on this. Typical AAA video game/movie/TV writing right here, and a disturbing lack of dialogue options. Imagine how dialogue with Shaun would have played out had this game been written by Obsidian, like Fallout: New Vegas? Incomparably better for sure, due to Obsidian’s writing talent and especially with all of those extra dialogue choices from Fallout: New Vegas which we mentioned earlier. But the dilemma here is handled better than in Fallout 3, not that this says a whole lot. In Fallout 3, the dilemma between helping the Brotherhood of Steel or the Enclave (who you can’t even join anyway) isn’t that challenging. The Brotherhood, being the saints they are in that game, are the obvious choice. But Fallout 4? We have three factions in opposition to each other and a strong dilemma. The factions are the Railroad, who rescues escaped Synths and strikes against the Institute because of all of the horror stories about them. They are also opposed to the Brotherhood of Steel, who wants to destroy all Synths. But they all have a goal that’s not that hard to get behind. The Railroad wants to free Synths, seeing them as humans essentially, a subject covered in the Mass Effect trilogy (mostly the third game), as well as in movies like Blade Runner and novels like Do Androids Dream of Electric Sheep? The Brotherhood of Steel wants to control all technology, in their eyes keeping it in responsible hands, so that events like the nuclear apocalypse don’t happen again. The Institute wants to elevate humanity through technology, but see Synths as nothing more than tools to aid them in the process. The Institute has some of the most advanced technology in Fallout lore, and the Brotherhood of Steel is perhaps the most formidable force in the wasteland and also technologically advanced in their own right. A difficult decision for most players. In fact, these factions are also opposed to the Minutemen, a group that tries to help anyone in need. Here, the plot becomes ambiguous. It branches out completely with a main quest for the Institute, Railroad, Minutemen, and Brotherhood of Steel. The player must choose one. Or the player can decide to end here, since you will have already found Shaun and avenged your spouse’s death. Each of the four main factions want to transform the wasteland in some way. 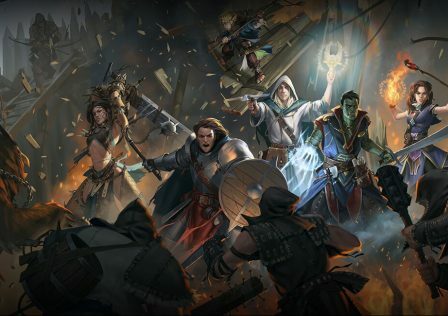 It’s a unique campaign that encourages joining one faction and finishing their main quests, not allowing the player to try and do it all. It certainly calls for multiple playthroughs. This is why we’ll stop our plot breakdown here, because it really takes multiple playthroughs to see it all. You get the gist of it; the plot has some interesting dilemmas, but it and the story are far from groundbreaking as they aren’t even the main focus of Fallout 4. The ending, if it can even be called that, is highly disappointing though. Anyone who knows Bethesda games knew that Fallout 4 was going to let you play after the main quest, but Fallout 4 could have done with a completely redesigned ending. Also like all the other Fallout games, Fallout 4 has some seemingly random, unexpected, but hilarious moments that really highlight the satirical humor of the franchise. On that note, the dialogue from Super Mutants (which is expanded from the previous games) and common Synth enemies are always amusing. To sum it up, there are too many serious writing flaws in every aspect of Fallout 4; world building, main story and plot, characters, and dialogue. World building is the primary focus of the game’s writing, and not much went into it. Compared to the real Fallout games—the first two and New Vegas, Fallout 4 is child play or perhaps even a bad joke. Oh boy, time to break down and analyze Fallout 4’s gameplay. Where to begin with such a massive game? Like its predecessors, it really fits the definition of action RPG. It is a full fledged RPG that integrates its complex systems with action gameplay very well. 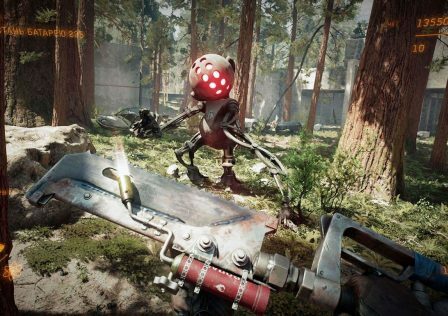 The combat feels familiar whether you’re shooting or using melee weapons, although there are numerous twists for each (namely perks and V.A.T.S. which we’ll talk about soon). We highly recommend playing on Survival difficulty. Enemies deal far more damage and the player’s idle health regeneration is essentially non-existent. In addition, healing items take a few minutes to finish healing you, meaning their healing rate is quite slow too. This, combined with radiation poisoning lowering the player’s maximum health, makes for a wonderful survival experience. “Legendary” enemies and thus Legendary items are more common on Survival difficulty. Such enemies are far more powerful than regular versions, they mutate and instantly replenish all health once when badly damaged (although it’s possible to circumvent this if you’re powerful enough to kill said enemy in one strike), and Legendary items have unique properties but standard appearances. There are also “Glowing” enemies. While Fallout 3 had “Glowing Ones” which were special Ghouls, in Fallout 4 you can find a Glowing version of nearly every mutant. We’ll point out the most obvious gameplay flaw of Fallout 4, and that’s the binding of too many game functions to one key. This suggests it was designed primarily for controllers opposed to keyboards which offer more functionality among other benefits. Weapon bash, Wait (which can only be used when seated now), power attack, and perhaps others are bound to one key. The Use key (E by default) is also used for dragging items around (which requires the key to be held instead of pressed) and entering/exiting Power Armor (exiting requires the key to be pressed). This can be annoying and cause the player to do something unintended. For example, often times I try to drag/move corpses around but I end up exiting my Power Armor instead. The S.P.E.C.I.A.L. system is the backbone of Fallout’s role-playing, so let’s take a closer look at it. Note that each and every one of those attributes listed above is a hyperlink, click to watch the official video for each one. Those are the seven attributes that make you special! Interestingly and hilariously enough, when launching Fallout 4 there’s a chance that any one of those videos plays right at the start. As with every other RPG, doing any number of things gives you XP and levels you up. Almost anything you do grants you some amount of XP, whether it’s killing enemies, completing quests (which provides the most), pickpocketing someone, picking a lock successfully, hacking a computer terminal successfully, building something, modifying a weapon, etc. The result is faster leveling than the previous Fallout games, and because of this, there is no level cap which is ideal for this game. The skills system as it was in Fallout 3 and New Vegas is gone. But don’t panic as I initially did; I love a complex stat system for RPGs as much as anyone. The skills have instead been folded into Fallout 4’s perk tree, so the perks system is greatly expanded compared to previous Fallout games. Here is a glimpse at the perk tree. Each SPECIAL attribute has many perks to choose from, and each perk has multiple rankings or levels (3-5) so you can take them more than once. You are not limited to going down the perk tree one perk at a time. Each perk has a SPECIAL attribute requirement, e.g. INT 1 or AGL 4. The ones at the bottom of the tree generally require 10 points in the associated SPECIAL attribute. Some also have a general level requirement. All you need to do is meet these requirements, you don’t need previous perks to take ones lower on the tree. Every one of Fallout 3’s skills materializes as a perk, and each perk has around 3-5 ranks. The ones representing classic Fallout skills like “Hacking” have 4 or more ranks. So you’re not actually missing out on anything compared to Fallout 3. Some people are saying it’s dumbed down and I thought it would be, but it’s not. It just omits arbitrary numbers; in the past Fallout games, you put points into skills when leveling up, from 0 to 100. But it’s not like each point was significant, only every 20-25 points was significant, which is equivalent to 4 or 5 ranks, just like Fallout 4 provides. Nothing missing, not compared to Fallout 3 at least. It has more content actually since it has so many new perks, each with multiple ranks. The skills being folded into perks is very similar to how Skyrim omitted the attribute system from the past Elder Scrolls games and severely buffed up the perk system. We think these changes in both games are more suited for an action RPG, which these games are. It’s faster and more natural opposed to the rulebook style, without being dumbed down compared to their predecessors. Actually, we like the perks here better than anything provided by Fallout 3 and New Vegas. This system, much to my surprise, is an improvement. It makes the value of each S.P.E.C.I.A.L. attribute far more significant. There are actually more playstyles in Fallout 4 compared to Fallout 3 and New Vegas. This is due to the revamped perk system, and also because of the new crafting/upgrading system. Now it makes sense to make a marksman character, who uses powerful long range semi-automatic weapons, and a separate infantryman character who uses fully automatic weapons, because full auto rifle damage has a separate perk than semi-auto. The next gameplay feature we’re going to cover is the Pip-Boy. If you have an iPhone, Android phone, or a Windows phone, you can try it out yourself by downloading the official Pip-Boy app, which provides full functionality and can even connect to the game, allowing you to use your phone’s Pip-Boy app in place of the in-game Pip-Boy. The Pip-Boy, pictured below, is a personalized wrist-worn computer device. A cool feature is that if you right click and drag the screen with the Pip-Boy opened, you move the protagonist’s arm around to view it at different angles. It has perfect viewing angles so it must be an OLED screen! Displaying the Pip-Boy freezes the game. It’s interface is broken down into sections at the top, so we’ll look at them individually. First is STAT, pictured just below. This shows the player’s health and overall well being, including the health of each individual limb. Here there are hotkeys for using Stimpaks (healing) and RadAway (removes radiation), and another for checking your current status (shows what drugs or effects are currently active). In this STAT tab you can also look at your S.P.E.C.I.A.L. attributes and their scores. The next section of the Pip-Boy is INV, short for Inventory. This lets you view, equip, drop, and sort items that you’re carrying. Items appear sorted already in different categories (e.g. Weapons, Apparal, Aid) and in alphabetical order, but you can change alphabetical sorting to sort by weight, and others. It’s like Bethesda Game Studios played Skyrim with SkyUI mod and saw how much better SkyUI is, and incorporated some of its functionality into Fallout 4. Note that the Pip-Boy can play holotapes just like in the previous games, although loading holotapes actually has an animation now. Unfortunately, Holotapes are sorted into the MISC section of the inventory opposed to getting their own. You can even play games on it! Note that there are now two ways to loot containers and corpses. The original method which freezes the game and brings up two inventory screens (yours and whatever you’re looting) still exists, and now you can quickly loot without stopping the game just by hovering over the container/corpse and taking what you want. This faster way doesn’t allow the player to offload items though, so for this the other method (now called Transfer) is required. The hotkey/favorite system has confused some players. It’s not much different than other Bethesda games. When in the inventory, highlight an item that you want to hotkey, press Q, and assign it to the key you want to use. Amazingly, Fallout 4 is one of the only games that allows almost the entire number row on the keyboard to be used as hotkeys. Note that when equipping a weapon but keeping it holstered, it no longer shows up on the player’s character model for some reason. Whereas holstered weapons can still be seen on the player in the other Fallout games (and Elder Scrolls games). Showing the favorites menu in the inventory. You can also view it outside of the Pip-Boy. DATA is the next section in the Pip-Boy. It shows quests and lets you look at active, inactive, and completed ones. Here you may also look at stats, viewing things like how many creatures you’ve killed, how many people you’ve killed, how many people you’ve intimidated, etc. Next is the MAP, which as you may have guessed shows the world map. Locations become marked once you physically reach them. Once marked, you may fast travel to them by clicking them in this map. The map displays active quests, and you can also place your own markers anywhere you want. The last Pip-Boy section is the RADIO, which displays radio signals picked up (it picks them up dynamically) and lets you play them. So the Pip-Boy is not much different than before. Holding the Pip-Boy key (TAB by default) turns on its light, like in the previous games, which strangely enough doesn’t have dynamic shadows (but such a mod exists already). One of the most surprising additions for the Pip-Boy is the ability to use it externally via the official Pip-Boy app for iOS, Android, and Windows mobile. But at the end of the day, the Pip-Boy has some nice changes but nothing really game changing. The same applies to V.A.T.S. which has some nice improvements but is thankfully not changed too much. V.A.T.S. or Vault-Tec Assisted Targeting System slows time (instead of freezing time like in the previous games) and functions almost like a turn-based game (a throwback to the classic Fallout games), letting the player choose targets (including someone’s limbs, to cripple or dismember them) and displaying a percentage for hit chance (for some reason the percent symbol is missing though). The changes in V.A.T.S. include a button that reads “EXECUTE CRITICAL” which shows up when a critical hit is available, making critical hits more QTE-like. There is one benefit to the more QTE-like critical hits, and that’s a perk which allows you to “store” a critical hit (whereas in past games, critical hits executed automatically). Also, through perks V.A.T.S. can display more information than ever before. Other gameplay mechanics however are vastly different and game changing, most for the better. Take the shooting mechanics for starters; no more clunky shooting like Fallout 3 and New Vegas, and iron sights are of course included since it’s a requirement for first-person shooting nowadays. The shooting animations and recoil are excellent and quite realistic and make it more challenging to shoot than other games, although upgrades can help keep recoil in check. There is a hold breath feature when aiming down sniper scopes, like many other games, and this drains AP. Sprinting also drains AP. Weapons now have a melee attack called “bash” which can be improved by an attached bayonet on certain weapons. Another new feature is an auto-leaning system; if you’re pressed up against a wall or flat surface, aiming down the sights causes the player character to lean out. A manual leaning system as with other games would have been preferred, but this is better than nothing. Speaking of melee attacks, melee combat in general (that is, melee weapons like swords, bats, hammers, pipes, etc) is largely unchanged from Fallout 3, thus still less versatile than New Vegas which is unfortunate. Power attacks have changed for the worse, being bound to one key which has many other functions bound to it. Power attack should obviously be hold attack as with most other games. Also, blocking in Fallout 4 is temporary; you can’t hold block, making timing more important. Fallout: New Vegas has many special attacks for unarmed and melee characters, which are the result of perks, most of which learned from other characters. Fallout 4 has none of that so you’ll only have the same basic melee attacks throughout the entire game. Fallout 4’s melee combat is fun but disappointing and shows no advancement. All action games need to build off of Dark Messiah: Of Might and Magic’s melee combat, but only a few do (Dishonored and Shadow Warrior). Like other Bethesda games, doing significant damage to an opponent can cause him/her to flee in terror. A nice touch for sure. Similarly, if the player holsters their weapon during combat, their opponent might forgive them. And when stealing an object and getting caught, your victim might simply try and take the item back from you instead of just shooting you on sight. One thing is missing with regards to shooting mechanics. That is, one thing that was in Fallout: New Vegas but not here. That would be varied types of ammunition. Fallout: New Vegas had all sorts of different types of ammo per caliber, such as 12 gauge buckshot, 12 gauge dragon’s breath, 12 gauge slugs, 12 gauge flechette, 12 gauge frag, and more. It had this for every ammo type. Fallout 4, like Fallout 3, has only one version of every caliber. Ammo is also weightless like in Fallout 3. Also, weapons are quite unbalanced in this game. Many weapons are objectively superior in every regard to others. Another change worth noting is that grenade-like items have now been moved to their own key, and no longer have to be manually equipped. However we take issue here, because using grenade-like weapons uses the same key as Bash and several other functions. This shows that Bethesda chose not to take advantage of keyboards having many keys, and that they designed Fallout 4 primarily for console controllers. Still, keyboards are far better than controllers since controllers have this same limitation, but lack hotkeys and are of much lower quality than a good mechanical keyboard. The most impressive gameplay overhaul is the crafting/upgrading system, which applies to all weapon types and also all armor types. The system seems loosely inspired by Misery 2 mod for S.T.A.L.K.E.R. Call of Pripyat. In both, miscellaneous objects found throughout the world can be used as scrap parts for upgrading weapons and armor (although in Misery 2 it’s used for repairing). Each material (different kinds of metal for example, and others like plastic and fiberglass) has a unique look. You can customize each and every significant part of a weapon, like a rifle’s muzzle, barrel, sights, receiver, grip, and stock. They don’t just create aesthetic changes, they quite realistically affect performance. Some guns can even be modded into accepting a different cartridge type. Also, each upgrade leads down a certain path to some extent. Certain receiver upgrades can’t be used with certain barrel upgrades for example, but this isn’t common enough to make it feel restricted. It only makes it feel realistic, and it is; most of the attributes for weapon upgrades are correct. All of this is what gun nuts dreamed of in games. Fallout 4 is the first game to really deliver here. You can do the same amount of customization for each piece of armor, and you can rename any weapons and armor. The result of all this is almost an unlimited amount of weapon and armor variety. A dream come true for many of us. Speaking of armor, there is a new layered armor system in place, similar to Morrowind. So the player can wear certain types of clothing and then place armor over that clothing separately. But not all clothing allows for armor to be placed over it unfortunately. Such armor is broken down into six pieces; right leg, left leg, right arm, left arm, chest, and head. So you can mix and match, in fact you will be mixing and matching and looking like some poor renegade for many hours at the start due to the rarity of good matching equipment. Like a real post-apocalyptic wasteland. Not all armor and clothing are layered though; we mentioned we’d like more clothing to support this, but also more armor. Still, all armor can be customized so much, just like all weapons. Different perks are present for upgrading armor and different types of weapons (Blacksmith for melee weapons, Gun Nut for regular guns, Science and others for many energy weapon upgrades, Armorer for armor, etc). Army Fatigues underneath a full Combat Armor set, although the left arm uses a different material than the rest, hence the different appearance. An Army Helmet is used as headgear. Army Fatigues and a full set of upgraded polymer Heavy Combat Armor. While the aforementioned equipment-related changes are amazing, there is one feature that’s missing. Weapons and armor no longer have a condition parameter like in the previous games; they don’t wear down, guns never jam. Every piece of equipment you find in this post apocalyptic wasteland is apparently in perfectly functional condition. The exception is Power Armor which does wear down, for balance reasons. But it’s silly that only the most durable armor types in the game in Power Armor actually degrade. Power Armor has undergone a complete overhaul. It’s almost like a vehicle now; you can enter it and exit it almost like a vehicle, and when you exit a Power Armor suit it remains where you left it. You can no longer swim in Power Armor; instead you walk on the floor under water. The same applies to other kinds of world interaction like cooking and smithing, which requires you to exit your power armor. Power Armor has its own unique crafting station for upgrading, and again there is so much variety due to the extensive amount of upgrades. There are five base Power Armor suits in the game: Raider, T-45, T-51, T-60, and X-01. All of them provide far more damage protection and radiation protection than ever before, but to balance this they require an energy source—fusion cores, which can be found in various places throughout the wasteland. As a side note, it’s interesting to see how almost every little thing, like entering and exiting power armor, playing holotapes in your Pip-Boy, and more, are all animated. A full set of military T-45c Power Armor. A brand new mechanic is settlement building. You can create your own settlements in many different places on the map (all scripted, you can’t just make one anywhere). You must first clear out the area to claim it for your own. Then you may enter a crafting mode and build whatever you want, and scrap existing constructs. You can place fences, walls, create buildings using walls and floors and ceilings, you can place furniture, workshops, turrets, different kinds of food, fresh water, power generators and windmills, actual functioning electrical outlets/switchets/pylons, stores, all kinds of constructs, each one requiring various materials and some even requiring perks. You can even make supply lines and make money from your settlements. Conceptually it seems flawless. You can build radio recruitment beacons which causes Settlers to make their way there and live there. Settlements may be attacked at any given time. Before: a small outpost I built into a small settlement. I had simply walled it off, added crops, added a foundation and a small shack, and added defense. After. It’s now a full fledged town with many living quarters, lots of power, and impenetrable defense. A glimpse from the inside. Another glimpse from the inside. A glimpse at a settlement I built. Originally, it was just a ruined farmhouse and a tiny farm. I expanded the area, notice the walls surrounding the settlement which I erected. The shack on the left was also placed by me, but not built my hand. The shack in the center however, along with its foundation and everything within and atop, were built by me. Also note the advanced power system; a windmill on top, and also visible is a generator and two switched power pylons (the one on the left is hard to see). The windmill and generators all provide power to the pylons, which then allocate power to the heap of turrets and spotlights seen on top of the shack. The pylons have a switch making it easy to turn everything on or off. Another settlement I built around a place called Croup Manor. This settlement has everything except for people, but that of course changes due to the placement of a Settlement Recruitment Beacon. Also notice the advanced power grid, generators, crops, stores, and defenses. A small settlement I built. This was, and still is, the smallest farm imaginable. Utterly puny. I made it into a fortress. You can also see one of the flaws with settlement building—the floating fence. A video of a settlement I built. Another, more impressive settlement captured on video. The Castle, one of the largest possible settlements in the game. There are some flaws in the execution of the settlement building system. One of them is pictured above, the floating fence. Objects often don’t align with terrain properly. Also, settlements are size limited, and the limitation can be too small. For example, I walled off Sanctuary hills, but that alone took up almost all of the allocated space. Of course the size limit is related to console hardware limitation, since consoles still can’t handle that many objects drawn on screen at once (compared to something like my PC that is). Mods exist to remove this size limit. Note that the game allows you to mark crafting components/materials (which are also used for weapon/armor upgrading) for search, so that finding resources isn’t overly tedious. Like the previous games, Fallout 4 lets the player take a companion with them on their travels. A command system is present, but it’s not quite as fleshed out as that of New Vegas, but better than the one in Fallout 3 and Skyrim. You can order your companion to stay, follow, go some place specific, or do something like search a container or pick a lock, and it’s all done in a convenient way (not through menus but by pointing the center of your screen at what you want them to interact with). Furthermore you can trade with them, converse with them. Don’t worry about them dying, they can’t. A very nice feature is that when idle, they will actually move around and interact with the world, and this interaction is different for each companion. There is also a surprising amount of ambient commentary from companions, which is of course unique to each one as well. They even comment on their surroundings. This makes having companions worthwhile, since they’re actually talking, travelling companions with a personality unlike most in Skyrim who are mostly silent. But it would have been nice to be able to bring more than one with you. No doubt such a mod will be made, as one was made for Skyrim. Cait (right), an optional companion and potential romance choice, demonstrating idle behavior. One excellent feature is that when accessing your companion’s inventory, you can equip items for them. No need to use console commands like in previous Bethesda games! All items from each inventory are listed together. Cait (left) and I (right). She doesn’t have Power Armor or a Minigun by default, I equipped her with them. Note that companions do use up ammo, except for their starting gun which doesn’t show up in their inventory so that they can always be armed. They also use up bobby pins. They do not drain fusion cores when in Power Armor however. The player builds a relationship with companions, sort of like BioWare games in which a companion likes or dislikes things that the player does. If their “likeness” rating goes down enough, they will leave your service. If it goes high enough, new dialogue opens up. Now that we’ve talked a bit about gameplay, take a moment to watch some videos of Fallout 4 in action if you haven’t already. Our videos are very high quality, 60 FPS, and unedited. Just raw gameplay. The ones below are spoiler free. As expected, Fallout 4 features lockpicking (essentially the same mechanic as Fallout 3 and New Vegas, the player can’t even attempt to pick locks ranked higher than their lockpicking perk), pickpocketing (essentially unchanged, so you can still do things like plant live explosives on people), and the ability to hack computer terminals and robots. The hacking system is essentially unchanged from Fallout 3 and New Vegas, except that it has more perks which can give the player more attempts, or even make it impossible to be locked out. Also, lock outs only last 10 seconds now, a change we don’t like. We’d rather them last 24 in-game hours. Speaking of computer terminals, one very interesting thing to note is that some of the entries are written during the course of the game dynamically. To be more specific, various Raider groups record logs or diaries on these terminals, and often mention other Raider groups. If the player wipes out one of these Raider groups, some of the others will write about it on their terminal. Of course, we discovered this by wiping out multiple Raider groups and reading about our exploits on their terminals. These aren’t found in every Raider location though; perhaps too many locations in the world are only occupied by Raiders with no backstory or characters. We also noticed some people didn’t understand how to hack computers in Fallout 4. It’s very simple. See the image below for reference. To hack the computer, you must guess the password. Selecting those individual special characters is always a wasted effort, since the password is always an actual word, one of the many listed. When you choose a wrong password, you will see a LIKENESS value. If the LIKENESS is 2, that means two letters in the password you chose are the same exact letters in the same exact position of the actual password. So in this example, our first guess for the password was the word “FOUR.” It was incorrect, and we see a LIKENESS value of 1. That means one letter in the word FOUR is exactly the same letter in exactly the same position as the real password. So that narrows down the password to either “FEAT” (where F is the letter that gave us a likeness of 1) or “TOLL” (where O is the letter). The password ended up being TOLL. Much has been made of Fallout 4’s graphics. It uses Creation engine (formerly known as Gamebryo) like other Bethesda games and Fallout: New Vegas. After the initial shock of Fallout 4’s announcement at E3, the graphics were immediately criticized. Some of the criticism is founded, but most isn’t. Fallout 4, like many other games, is a mixed bag with regard to visuals. Thankfully, Bethesda did an excellent job with one of the biggest, most important visual aspects, which is lighting. The lighting in this game, particularly outdoor lighting (not so much indoor lighting which is still good but less impressive) is some of the best in any game. More very nice outdoor lighting. Less impressive, but still good interior lighting. Not only does the lighting look wonderful, that’s less work for modders. There are some lighting mods for Skyrim like Climates of Tamriel (not to be confused with post-process and shader mods like ENB, RCRN, ReShade, and SweetFX), but they’re not impressive. Modders simply couldn’t take the lighting much farther than default. But for Fallout 4, no such mods are necessary. Those post-processing mods went a long way, but thankfully Fallout 4’s post-processing is excellent too, adding many cool visual effects. Another strong point for the visuals are particle effects. After playing Fallout: New Vegas with EVE – Essential Visual Enhancement mod, we worried Fallout 4’s particles wouldn’t be as awesome. Thankfully they’re even more awesome; more modern and higher quality. Vaporizing people with energy weapons is very satisfying. The variety of EVE is absent from Fallout 4, but the visual quality is even better. Explosions look remarkable, and like many of the other particle effects are bolstered by dynamic lighting. Explosions, the flame fired by Flamers (flamethrowers), laser projectiles, and more are actual dynamic light sources. Charred corpses look really cool too! Fallout 4 of course has a dynamic day/night cycle, and also dynamic weather effects. Rain causes objects and characters to appear wet. Unfortunately nights are way too bright, looking more like present day Boston if anything (full of light pollution) than a post-apocalyptic one. But there are already mods that address this at least. If it has to be said, yes, Fallout 4 has dynamic shadows unlike Fallout 3 and 4 (even Skyrim did). However, we mentioned earlier that dynamic shadows aren’t cast by the Pip-Boy light. They also aren’t cast by various other light sources, most light bulb sources actually. Again, we can thank modders for addressing this. These visual shortcomings are undoubtedly caused by two things; console hardware limitation, and the engine’s poor optimization/use of hardware (enabling these things would be too demanding on consoles). The biggest point of criticism is texture quality. While it’s true that Fallout 4’s texture resolution is below average, people need to stop and appreciate that the actual texture design from an artistic perspective is wonderful, and it’s why the textures look very realistic from a distance. Realistic looking rust, dirt, wear and tear, and also outstanding texture variety especially for a tile-based game. Compare these textures to those in Fallout 3 or Skyrim, which are more repetitive and flatter looking. All we need are high resolution versions of current textures, and then Fallout 4 would look outstanding. The textures on weapons, clothing, and armor are top notch. These things also demonstrate perfect tessellation and 3D mapping. It makes character models, aside from their faces, look amazing. Clipping issues with armor are practically absent, despite the layered armor system. Clothing and armor just looks 3D and extremely realistic, opposed to being painted on. Unfortunately this tessellation and 3D mapping doesn’t apply to the environment much. Some buildings still look like they have painted on windows. Sadly gaming has not advanced past this point yet. Vegetation quality is more or less average by 2015 standards. Overall object quality is also average, which means it’s not good. Miscellaneous objects when viewed up close are obviously lacking in polygons, and have low resolution textures too. 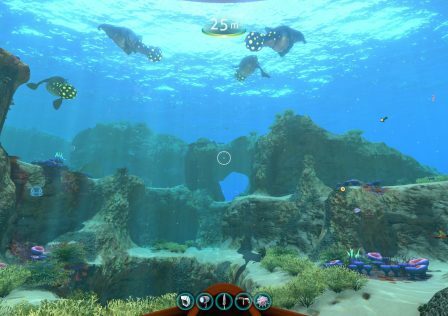 Small puddles of water looks quite nice from above, and under water visuals have improved too. Large bodies of water look really fake however. Shadow quality is a bit dated, but coming from Fallout 3 and New Vegas at least we finally have shadows. Visually, Fallout 4 is more impressive from an artistic standpoint than a technical standpoint. This is of course related to the unparalleled level design, but it also has some incredible weather presets. This looks a lot like one of the RCRN presets for Skyrim, seen here. Rainy and foggy weather are impressive too. Pictured above is a typical rainy day in Fallout 4. Other times it’s possible to have a very foggy day without rain, resulting in a Silent Hill type look, captured here. Now the big part, the part we always complain about: Anti-aliasing. Fallout 4 supports FXAA and TAA (not NVIDIA’s TXAA, their own implementation). TAA provides better image quality without a whole lot of blur, although some blur is undoubtedly present (most noticeable on trees). The AA quality is pretty good at 2560 x 1440, but far from perfect. Fallout 3, New Vegas, and Skyrim all have superior anti-aliasing with their MSAA implementation (MSAA + FXAA in Skyrim). Just look how perfect Fallout 3 looked. Fallout 3’s perfect anti-aliasing (a full screen MSAA implementation). Sadly the days of such perfect AA with no blur at all are behind us. But we’re okay with such good AA with some blur, but even that is extremely rare. Only the few games with native supersampling (e.g., Metro Redux and Last Light, Thief) as well as Unreal Engine 4 games (TAA) can provide practically perfect AA with some blur. View distance was something of concern for us. Skyrim’s was disappointing. Fallout 4’s is much better than every other Creation/Gamebryo engine game, but it still uses the same LOD system and is still nowhere near as good as Grand Theft Auto V or Dragon Age: Inquisition. Shadow draw distance is low enough so that there is noticeable pop-in, and there is some object pop-in as well. If you’re risky, you can try editing Fallout4Prefs.ini and increasing the uGridsToLoad value, but this can break the game. Supposedly it can trigger quests before reaching them, so it’s recommended to not increase it too much. Increasing uGrids, even merely to 7, also causes noticeable frame rate drops on both test systems listed below. Another major criticism, and the reason why user reviews aren’t as high as press reviews, is performance. The following PC configurations were used for testing Fallout 4. Both systems run Fallout 4 on the highest graphics settings at 2560 x 1440. System 2 keeps V-Sync enabled and usually gets a constant 60 FPS, although occasionally densely forested areas will drop the frame rate. As I use system 1, I can confirm (like others have already) that game logic is indeed tied to frame rate. The game speeds up when exceeding 60 FPS; the faster your frame rate, the faster the game is. This creates noticeable, game breaking bugs when going beyond 75 FPS or so. Hit detection for one becomes unreliable unless at point blank range, oddly enough. So for those with high refresh rate monitors, we suggest limiting the game to 75 FPS. I have no issues at 75 FPS. Keeping in mind the 75 FPS cap I applied to the game, system 1 generally gets 60 FPS outdoors although densely forested areas sometimes drop it to 50. They used to create frame rate drops down to 40-45 for both systems, but setting iNumHWThreads to 8 fixed that surprisingly. So both systems get good performance, not worse than in other recent open world games like Grand Theft Auto V and The Witcher 3. Better than both of those actually. We suspect most of you have either experienced or read about AMD’s performance in this game. We have no first hand experience but obviously AMD users should approach this game with concern. 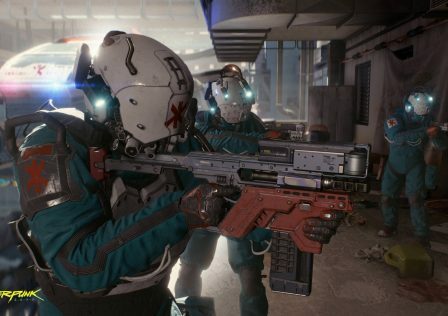 So it is somewhat understandable that AMD users provided negative reviews for the game, although people with mid-range GPUs giving out poor reviews because they can’t run it on ultra should never be allowed access to any sort of review system ever again. The sound quality of Fallout 4 is very good all around. As far as sound effects go, thankfully the player gets access to a wide range of volume controls just like every other Bethesda game, with separate controls for master volume, sound effects, music, voices, footsteps. Fallout 4 seems to exhibit greatly improved surround sound support, although we’re basing this only off of virtual surround performance using Creative X-Fi CMSS-3D and an AKG K7xx. Positional audio is far better than Skyrim and Fallout 3. According to Satsun.org, Fallout 4 uses XAudio2 as the sound API and supports 7 channel surround. We envy anyone who gets to play this game with a quality 7 channel surround setup. As expected, there is no 3D HRTF support in Fallout 4. The sound effects were a pleasant surprise. They’re all excellent, and dynamic reverb is present. 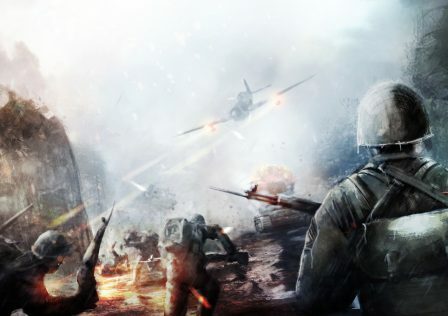 The sound effects combined with the outstanding particle effects and gameplay, they create amazing battles that are immersive, intense, and incredibly fun. The voice acting of Skyrim was commonly criticized, although it wasn’t actually that bad. These were just people who expected Uncharted level voice acting since they still think Skyrim is a story-driven game. Fallout 4’s voice acting is a mixed bag, some of it is good enough, but other parts are worse than Skyrim and Fallout 3 ever were. Still, there’s nothing absolutely terrible. Once again we love the voice acting of Super Mutants and gen 1 Synths. Combined with their written lines, they really add humor to the world. Inon Zur composed the soundtrack again, so as expected the sound track is money. The new main theme is largely piano based and it’s wonderful. The ambient music is still subtle as it should be for such a game. Inon Zur is one of our favorite soundtrack composers, it’s great that Bethesda got him back. So that wraps up this section of our review. Graphics quality is a very mixed bag, although the most important fundamentals range from good (overall shader quality, anti-aliasing) to great (lighting and post-processing). Sound quality is excellent overall, and surround support seems to be very good. Voice acting is mostly mediocre but decent enough for a game that’s not story driven, and the soundtrack composed by Inon Zur is marvelous. As soon as we learned that Fallout 4 was releasing this year, it became our most anticipated game of the year. This didn’t require any second thought. It’s always hard to imagine how a new Bethesda game is going to turn out. On the one hand, we know that it’s going to be the same type of game and same type of RPG, since they only make one type. On the other hand, every single one of their games brings massive improvements that are usually unforeseen. Fallout 4 is no exception, for the most part it is a better version of Fallout 3. Not only has the gameplay improved more than we hoped, there are some groundbreaking new gameplay mechanics such as the settlement building. Fallout 3 and The Elder Scrolls V: Skyrim represented what were clearly the best designed open worlds we had ever seen. The key word being were. Fallout 4 is a significant leap forward with regard to open world level design, taking advantage of more modern hardware and providing a world that is much more authentic and much larger in scale, even if the physical terrain map size is actually similar to their previous games. The massive cityscapes, the set detail, the unpredictability, it all comes together to make the world feel truly alive, just like Fallout 3 but with far greater authenticity. Fallout 3, while amazing in its own right, still usually felt like a video game. So did Fallout: New Vegas of course, which was a step back compared to Fallout 3 in terms of level design (and only in level design). When playing Fallout 4, it’s like stepping through a portal into a real post-apocalyptic Massachusetts. Atmosphere is one of the two focuses of Fallout 4 and every other game by Bethesda Game Studios. The other is unrestricted sandbox role-playing. Here, we actually have a slight downgrade with Fallout 4 compared to Fallout 3. The plot does allow for a bit more role-playing than Fallout 3 because it has far more factions and thus more paths, however the loosely defined protagonist backgrounds and also the voiced protagonists do limit role playing somewhat, and the limited dialogue choices limit it even further. Protagonist backgrounds and voices have no business in a Bethesda game or in any Fallout game, although the backgrounds are at least very vague so it’s not very harmful. But it’s not all good news with regard to world design. It could use much better content and AI. Too often does exploring only lead to bandits or ghouls, shooting practice really. Side quests are all forgettable honestly, and the main quest even more so as it is particularly badly written. The lore, the writing behind the world and factions still lacks the depth and originality of the classic Fallout games and Fallout: New Vegas, and combined with the severe lack of role-playing… it is not a very good Fallout game at all. Because of the voiced protagonists, we knew even before launch that Fallout 4 was not going to have nearly as much role playing as Fallout: New Vegas, much less the first two Fallout games. This was confirmed when we played the game. The limited dialogue choices make it even worse. Just about all player dialogue boils down to choices of “Yes”, “No”, “Sarcastic”, or “Inquire”, the latter leading to questions which don’t advance conversations. This does mean that Fallout 4 provides at least three responses, three “answers” for every conversation, which is more than The Witcher games on average, but it’s still a downgrade compared to Fallout 3, much less New Vegas and the first two. To make protagonist dialogue even worse, the writing quality specifically for protagonist dialogue is as generic as you would suspect after reading our analysis above. None of it has the satirical wit of the previous Fallout games, although at least this wit and character can be found elsewhere in Fallout 4. So, as an RPG, Fallout 4 is seriously lacking, especially as a Fallout RPG. The gameplay overhaul of Fallout 4 went above and beyond our expectations, as do the new gameplay mechanics like settlement building (which is still flawed but a very welcome addition). Time to score this massive game. Our scoring system is explained here. Fallout 4 might be the most visually underrated game out right now.